Air Deccan Airways, the low cost no frills domestic airline offers cheap air tickets for various cities and popular sectors in India.It Was Established in 2003,Air Deccan has a fleet of 23 ATR Turboprop airplanes and 20 Airbus A 320 aircrafts. Air Deccan Airways the first low cost carrier of India Country.And it has truly changed the face of Indian Aviation Industry. 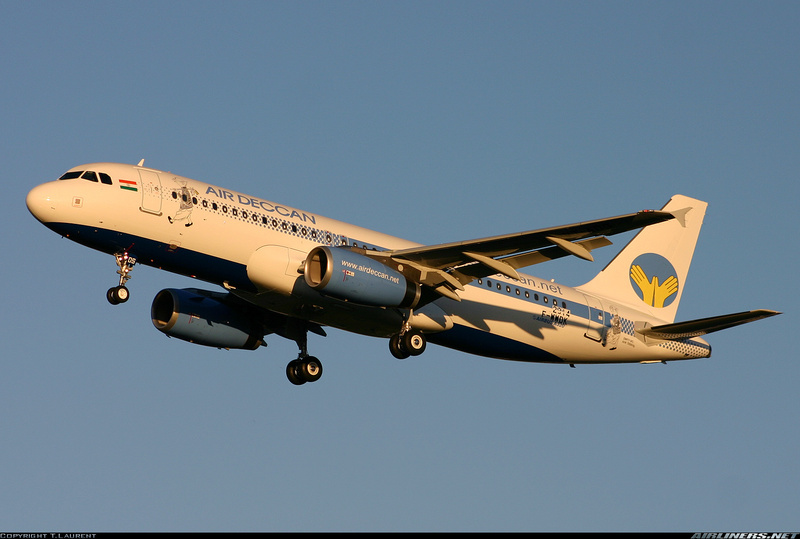 The Air Deccan airline gave wings to the dream of flying of every common Indian.Promoted by aviation enthusiasts, Capt Gopinath, Capt KJ Samuel and Vishnu Raval.Air Deccan tickets started its journey on 23rd August 2003. The airline has its base in Bangalore city with its secondary hub at Meenambakkam International Airport Chennai city. Providing cheap and lowest airfares on various popular sectors, Deccan Airways is the pride possessor of many prestigious awards and accolades such as Galileo Express Travel Award 2006 where it was adjudged as The Best Domestic No Frill Carrier. Air Deccan airlines was also honored with 2007 Frost & Sullivan Company of the Year” award in the area of Indian commercial aviation. Air Deccan fares with its cost efficient strategies and seamless services is focused to provide best and comfortable air travel experience to its leisure as well as business travellers.